Sheriff's deputies in Florida are searching for a man they said dressed up as Batman and robbed two Orlando dollar stores Tuesday night. 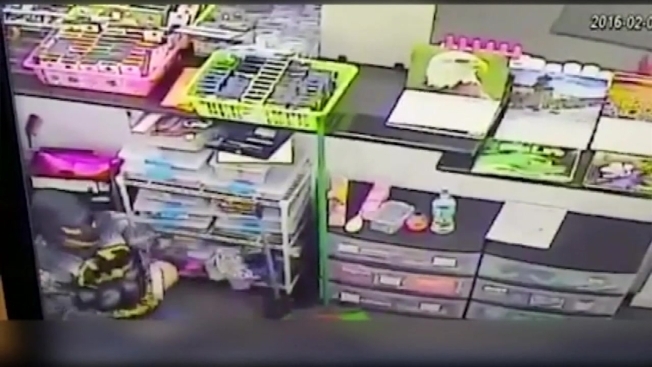 The Orange County Sheriff's Office said the man entered the 123 Dollar Store around 8 p.m. Tuesday and demanded money from the clerk. About 90 minutes later, the same man robbed a Dollar General. The clerks at both stores were unharmed. Deputies describe the suspect as a white or Hispanic male with a thin build. He was last seen wearing blue jeans and, of course, a Batman mask and costume. Anyone with information is asked to call the Orange County Crimeline at 800-423-8477. In November, a man attempted to rob a Jacksonville convenience store while wearing a Darth Vader mask. It's not clear wwhether the cases are related.